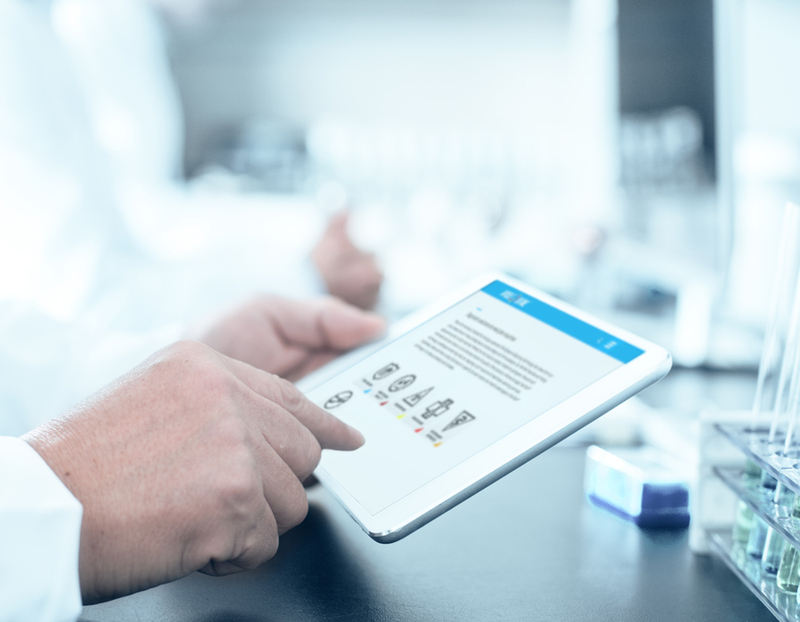 We have been working with Invisible Sentinel from the ground up; being familiar with their diverse brand system allowed us to create an eye-catching and functional website for this Philadelphia-based diagnostic company. Their website wish-list started with a home that organized their growing variety of testing products as well as individual user pricing on the eCommerce side. 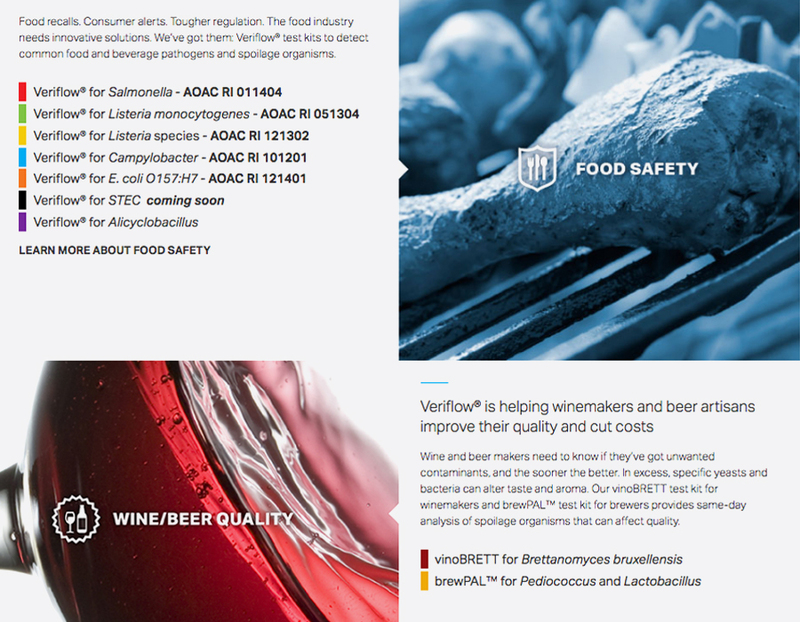 Invisible Sentinel had made its mark with their Veriflow® technology and needed a website to live up to this cutting edge test system. The challenge was to create a site that served as an educational tool for their technology while boasting a flexible eCommerce platform. 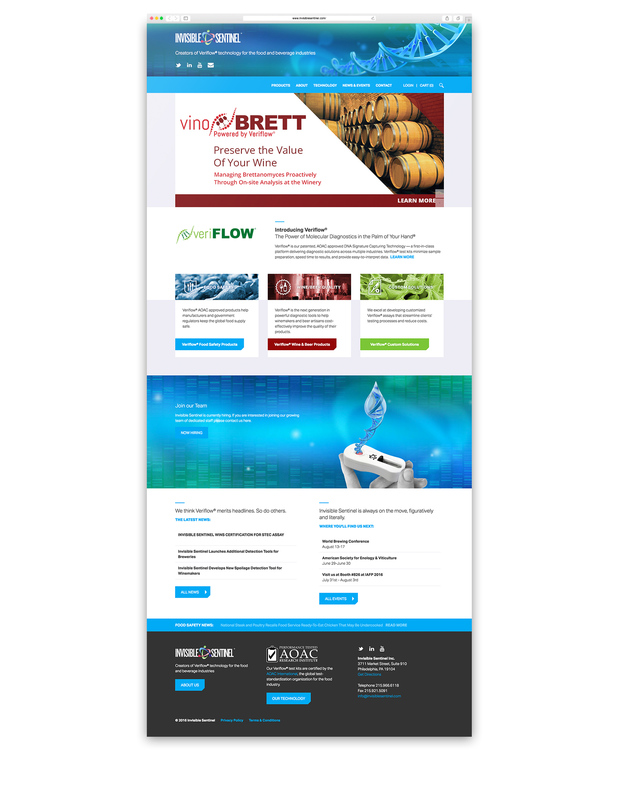 The site is also home to the many variations of Veriflow products which cater to multiple industries. 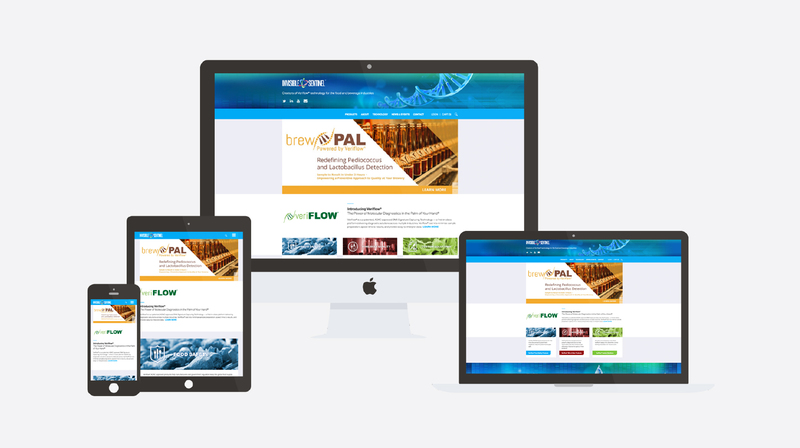 We seamlessly integrated the technical information and individual branding necessary for each product within the site. As a standard here at Humid, we developed this website so that it functions across all devices. The site also has a flexible, easy-to-use CMS that allows Invisible Sentinel to update content as their family of products grow.